Moving homes can be a pain in the neck. And if you desire to get your deposit back then you have your work cut out- the demand of cleaning the property can be daunting. But before you despair, know that you can please your landlord with J&D House Services’ superb end of tenancy cleaning. Sure, you want the property to look its best and claim your deposit without fuss; so do we. We are Warrington’s premier and most trusted full-service cleaning company that provides reliable end of tenancy service that will guaranty that your landlord will be satisfied with the condition of the property at the end of your rent. How does our End Of Tenancy cleaning program work? 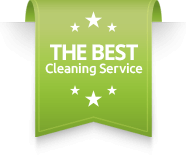 We start with a thorough detail-clean throughout your house. Our team thoroughly clean your house, with special attention on your kitchen, bathrooms, entire house, sleeping and living areas. No part of the property is overlooked- we will not only clean the obvious areas, but even the hard to reach areas/ seldom remembered parts like the skirting board and areas behind the radiators will receive a facelift. That’s not all, while other cleaners will avoid or charge you extra fees for services like , oven cleaning, we will get on with these free of charge. If you’re not satisfied with the job done, we will be glad to provide a re-clean at no extra cost. We provide stunning and cost-effective end of tenancy cleaning services. No hidden charges, no delays, just highly responsible professionals and exceeding the expectations of each client. A Quality Manager is always on hand to ensure the cleaning is done just like you want it. When it comes to health and safety, we use only detergents, chemicals, and techniques that won’t hurt people or the environment. We’ll provide services, that include as is on the following explainer video.